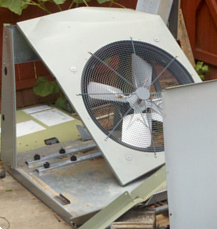 Copper from air conditioners and heat pumps is stolen from homes and businesses just like yours everyday and sold for scrap or sold on the black market. What makes matters worse is the price of copper, which your air conditioner has a lot of, is elevated and the punishment for copper theft is typically probation. What does a copper thief do to pay his probation? 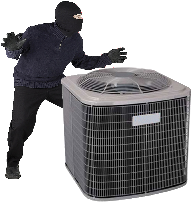 He steals your air conditioner! Now the HVAC industry is using new types of refrigerants and copper coils which are not compatible with older systems. 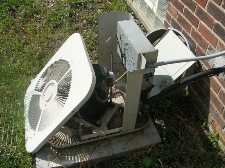 That means if your air conditioner copper is stolen, then you have to replace your exterior air conditioner unit AND the interior unit. For a small residence or business the typical cost of replacement can be in excess of $4,000.00.